It is the rags-to-riches story every footballer dreams of – starting out in the lower echelons of the English game and catching the eye of an unexpected Premier League scout to be plucked from obscurity and thrust into the big time. For one man, the dream became a reality in 2012, with Jamie Vardy joining then Championship outfit Leicester City from Conference Premier outfit Fleetwood Town. The sprightly striker’s story has been somewhat immortalised since, with Premier League title success and England international inclusion following suit. Leicester were at 5000/1 odds to win the Premier League in 2015-16, with those using their Draftkings Promo Code 2018 struggling to find a fairytale story similar to the Foxes or their main attacking weapon. Vardy is well worth his stint at the elite level of the sport, with the 30-year-old proving that he has what it takes to succeed. However, for all those looking to follow in the Leicester man’s footsteps, the task seems almost impossible. While players will naturally look to move up the divisions by impressing and getting the subsequent transfer to a bigger club, going from non-league or lower league football straight to the Premier League is unlikely. Vardy’s example is even more extraordinary given that he was not a fresh-faced youngster when he made the move to Leicester, rather a striker that had honed his game in the lower reaches of the English game. Managers of clubs at the top level are under such significant pressure to deliver in short time frames that the natural reaction is to spend on established players. With Premier League clubs consistently getting richer thanks to increased prize money and eye-watering tv rights deals, it is almost a no-brainer to splash millions on a household name rather than take a chance on a virtual unknown, even for a squad position. Looking down the divisions, international-calibre players of some countries become attainable for even League One teams, meaning the journey to the game’s summit becomes much tougher for those looking up from the bottom. There is a train of thought that if a player is good enough he will make it to the appropriate level, but there are undoubtedly potential stars that fall through the cracks. As such, Vardy in his current form should be applauded for his ascent to the Premier League, with it unclear when another player from non-league will prove he is good enough to rub shoulders with the domestic game’s best. The news that Chelsea have signed a new kit deal with Nike for a reported £60 million A SEASON once again puts into perspective how money is dominating the highest level of our national game. The Blues terminated their existing deal with adidas six years early in what can have only been a purely money-motivated move (that deal was rumoured to be “just” £30 million a year) to sign the deal with Nike for the next fifteen years, which will see them earn £900 million (assuming there are no other bonus elements for winning cups). 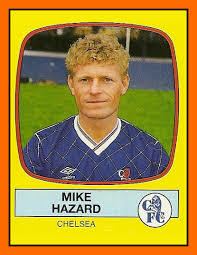 Chelsea Football Club’s understated comment about the deal was that it was an “incredibly exciting and important deal”. Based on their disastrous season last term it is hard to see how they justify their place in the world’s elite, unless it is purely down the revenues. However, what is clear is that the value of this deal will set a new marker for every other club. If Chelsea’s deal with Nike is now worth a reputed £900 million, that puts a marker in the sand for the next round of negotiations for other clubs. Manchester United, Real Madrid and Barcelona are already in the £100 million a year club thanks to their deals. On top of these huge amounts are the revenues club earn from sponsorship and shirt sales. According to Forbes, Chelsea’s current deal with Yokohama Rubber is worth around £35 million at the current exchange rate, which pales into insignificance compared to the £50 million per annum that Manchester United get from Chevrolet. Whilst United may be considered the most valuable sporting brand in the world, Chelsea recorded more shirt sales in the last 12 months after seeing a 39% rise in sales, taking them into third place behind Barcelona and Real Madrid, with an eye-watering 3.1 million shirts sold (according to Sports Marketing Company Euromericas). So let’s do the maths on those. The current Chelsea shirt retails online (JD Sports) at £55 for an Adult shirt and £30 for a Children’s shirt. The club will maximise the revenues sold via their official outlets, receiving only a small proportion for those sold elsewhere. But even if the average revenue from a shirt, blended across an adult and a children’s shirt, is £15 then they would have reaped £46.5 million last year. Whilst match day income for the Blues was just over £70 million in the 2014/15 season, the core ticket revenue would have been around £33million per annum (assuming an average ticket price of £40)…in other words around the same as the increase in revenue they are now getting from Nike. So if Chelsea really wanted to show how much they appreciated their fans they could admit them all for free this season and not see any drop in revenue. Is that likely to ever happen? Of course not! In November 2017 it will be the 130 anniversary of the first meeting between the teams we know today as Arsenal and Tottenham Hotspur. Back in the Victorian age this was of course a North v South of the river clash, with the first ever game between the two rivals being played on Plumstead Common, which today opposite a McDonalds and Belmarsh Prison. That game had to be abandoned with Spurs leading 2-1 due to “darkness”. Fast forward 129 years and 183 meetings since, the first meeting of the season between the two rivals has never been more eagerly awaited by the two sets of fans as well as those with an interest in online sports betting. Whilst Arsenal’s position in the top four of English football has been undisputed for nearly 20 years, Tottenham’s emergence as a challenger to the title has been more recent. After kissing a number of frogs, the club seems to have found their prince in the form of Mauricio Pochettino who almost brought the first title to N17 for over fifty years last season and is yet to experience defeat in the Premier League this season. The Spurs fans I know have become much more mellow with things off the field too. The wisdom of Daniel Levy is now not a heated discussion, especially as the emergence of the new stadium is visible at every home game. Once complete, it could act as a catalyst to power the club commercially forward. According to the annual study by Forbes, Spurs are the tenth most valuable football club with an estimated worth of just over £700m, around 50% of the value attached to Arsenal. 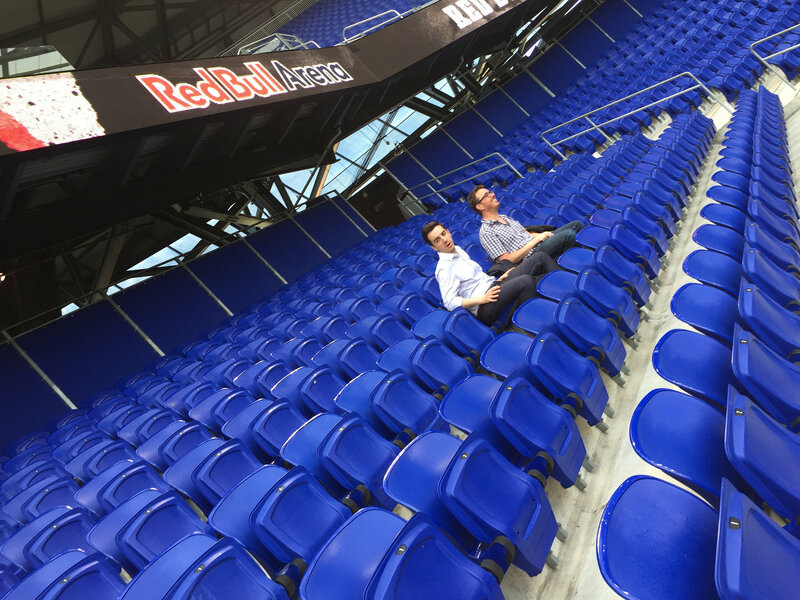 The key to creating more value is the bigger stadium with more opportunities to drive commercial revenues. It is no surprise that the teams that hold the top five places in the list all play in front of sold-out stadiums with capacities over 60,000. Joining that list is the clear ambition of Spurs in the next five years. It is clear from the ticket sales for their Champions League games at Wembley so far this season that if you can build it, they will come. Whilst the Spurs fans are happy with life at the moment, Arsenal fans continue to enjoy a love/hate relationship with the owners and the manager. Best ever one week when they destroy Chelsea, showing them the door the next when they fail to beat Middlesbrough at home. There can be no denying that they are a major challenger for the title this season, having scored three or more goals in 60% of their Premier League games so far this term, whilst hitting the back of the net on 17 occasions in their cup games so far, including nine against the Bulgarian champions Ludogorets, already booking their spot in the knock-out phases of the Champions League. Whilst some fans may bemoan a lack of dynamism in the transfer market, Wenger has managed to shuffle the pack when required this season. Sunday’s game won’t decide the league title – especially this season where there are half a dozen teams who have a legitimate shout but it will make Monday a potentially uncomfortable day at work for half of North London as the winners will earn the bragging rights until the end of April at least. Back by popular demand (well, at least from one person) for the new season is the continuation of our series on trying to explain Economic Theory by applying the principals to football. The first in series 2 is concerning the Moral Hazard Theory and how a player’s behaviour changes once he has a new contract. In the 2014 film The Big Short, the real reasons behind the start of the Global Economic Crisis were explored. To many of us, the years between 2007 and 2010 saw unprecedented financial pressure, driven by trusted establishments as well as our own need to budget based on our circumstances. Few people really understood how our boom had suddenly been the biggest bust in history, so the film aimed to explain what really happened, using examples such as chefs making fish stew or actress Selena Gomez playing poker to explain some of the more complex terms such as synthetic derivatives and the concept of sub-prime lending. Whilst these were good examples that helped us understand, it would have been much better if they would have used an example relating to the beautiful game. The basic premise of the film and the core compelling event behind the Global Economic Crisis was that of Moral Hazard. The theory of the Moral Hazard is originally attributed by some back to the 17th century, but economists Allard Dembe and Leslie Boden created the current theory when trying to explain the situation of Winston Bogarde wasting away in Chelsea’s reserves*, happy to do the bare contractual minimum to earn his substantial weekly wage. The Moral Hazard Theory related to a situation where the behaviour of one person or party may change to the detriment of another after a transaction or contract has been completed. Insurance policies are a more conventional example where the insured party may take more risks knowing that there’s a financial safety net should things go wrong. But how did Dembe and Boden apply the theory to Non-League football? For example, let’s say a Non-League club sign a promising centre forward on a year’s contract. The day after the ink dries on the contract the player damages his knee in a non-football related incident (such as falling off a table whilst dancing in a Crawley nightclub, drunk at 2am) but hides the injury until the first pre-season training session where he goes down in real pain after an innocuous challenge in the first minute of the practice match. The injury keeps the player out for the rest of the season. The club would be liable to continue to pay his wages despite having no liability in terms of the injury because the player’s behaviour changed once the security of the contract had been completed. Would he have still claimed he was injured in pre-season training if he wasn’t under contract? Probably not. The reason why is that the Moral Hazard Theory works under the premise of information asymmetry, in other words where one party in the transaction having more information and acts or behaves inappropriately than the other party, normally the one who has to pay the consequences of the risk, which in the above example is the player knowing about his injury but not revealing it to the club. So that is the Moral Theory and how it influences our thinking today and in the future. Has football already eaten itself? The last week has seen the footballing world go into meltdown about ticket prices as if it was something that had just started to be an issue. It hasn’t. It’s quite difficult to pinpoint one particular moment where it all got a bit silly as the initial tipping point seems to vary from club to club. Some may point at the formation of the Premier League nearly twenty five years ago as the catalyst, whilst for others it has been around takeovers and new stadiums. But before we get back into the nuts and bolts, indulge me in the follow dilemma. Once a week I enjoy a Chicken Katsu Curry from Wasabi for lunch. I’m not alone. Queues snake round the block at peak time in Canary Wharf. That was until a few weeks ago. Turning up at 1pm two weeks ago there was just a handful of people queuing. The reason became apparent when you went to pay. Prices for the most popular dishes, including Chicken Katsu Curry had risen by 20%. With so many alternatives within a couple of minutes, fans of the spicy chicken had voted with their feet. How did the brand react on Social Media? It ignored what their “fans” were saying, refusing to engage on the subject. Sound a little bit familiar? However, Wasabi aren’t like a football club. Despite being a “fan” I am now less likely to go so frequently even though I may end up spending more at an alternative restaurant. Why? Because I cannot see any value in that extra 20% cost. I don’t get any bigger portions, the service is still the same fast speed, the sauce still as spicy. That to me is one of the keys in the whole Premier League ticketing debate – the question of value. Value is the key here. Suppose Liverpool would have suggested that for the increase in ticket pricing to £77 fans got additional value. A free programme, access to a lounge, a free scarf, a free link to exclusive media content, a free pie or pint? Would there have been the same uproar about the price? There was more than just the top price ticket behind the protests at Anfield and I applaud them for their stance. But football clubs need to also look at the situation and learn from the mistakes Liverpool made. The impact of investment in Premier Leagues from overseas is often quoted as the tipping point for escalating price rises. The takeover of Manchester United by The Glazers back in 2005 saw a mass exodus of some fans who could no longer take the commercial changes at the club to form FC United of Manchester. However, their absence was never noticed by the new owners, with United at their peak and valued as one of the richest sporting institutions in the world. The empty seats never stayed empty, with waiting lists of fans willing to pay what it took to see Ferguson’s side win the top honours in the game. Down south there is a perception that Arsenal’s move to The Emirates as the tipping point for ticket price rises. However, the start of the rolling stone went back much further than that. An average ticket at Highbury back in 1991/92 was £10. Seems reasonable based on today’s wages but actually that represented the biggest hike in ticket prices that the fans have experienced in the last thirty five years, rising from £7.26 on average the year before (a 38% increase). This season a ticket for the centre lower tier at The Emirates is £45.69 on average this season, up from £40.47 five years ago and just over six pounds since they moved into the new stadium (Thanks to http://www.thearsenalhistory.com for the stats). Arsenal’s “utilisation”, the percentage of seats sold (not necessary used – another Premier League bad trait) when compared to the total (not necessarily usable) capacity is in the high 90th percentile. In fact, allowing for seats removed from sale due to segregation, there are probably only a few dozen seats remaining unsold throughout the whole season. What would happen if Arsenal slashed ticket prices in half? Would they be able to sell any more tickets? No. Does the club really care whether a particular seat is bought by an adult, a child or a concession? Absolutely. So as a commercial enterprise what is their motivation for cutting ticket prices? The issue of ticket prices may be a hot topic today, and we may argue that we are pricing out a generation of future fans, but have we already passed that point? If I wanted to take my daughter to West Ham United v Manchester United next month her ticket (assuming there were any available), the cheapest ticket I could buy for her would be £45. West Ham will argue that for other games I could buy her a seat for £1, but that misses the point. People may argue it is no different to going to the theatre or the opera. It’s not. I want to go to see West Ham because it is my club. Even if Leyton Orient a few miles down the road are at home on the same day and offer under16’s for £1 it is not an alternative I would choose. If a ticket isn’t available for La Bòheme at the Royal Opera House isn’t available today, I can try again for tomorrow’s performance, or one next month. Same performers, same venue, same storyline, same music. Sport isn’t anything like that. West Ham have gained many plaudits for their decision to reduce prices massively for the move to the Olympic Stadium next season. 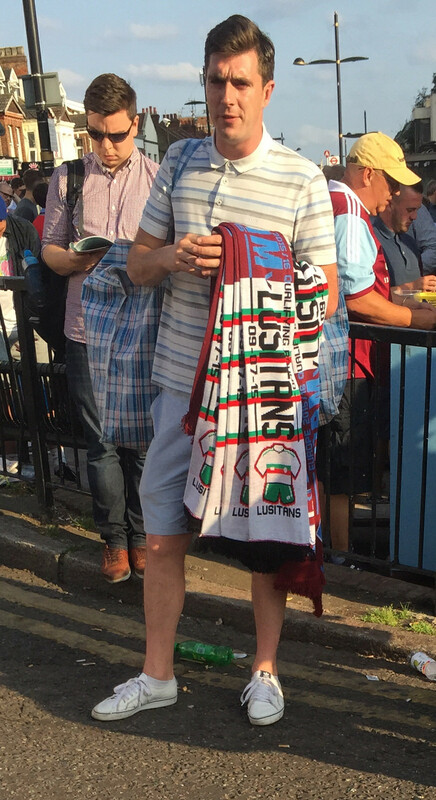 But what was stopping them slashing the prices for this season, the last at Upton Park? They know that every Premier League game would sell out and so in whose real interest would it have been to reduce prices? Next season is a massive risk in terms of reputation for the club. You can be sure that if the club would have funded the building/conversion of the stadium themselves then they wouldn’t have been so generous with the ticket prices. They need to build an additional 15,000-20,000 new loyal fans and the best way to do that is ticket concessions. Matthew Syed at The Times was involved in a heated debate this week with fellow Times correspondent Henry Winter about the issue of ticket prices. Winter’s view was very much of the “we need to act now to stop the future degradation of the game”. Syed’s counter argument was that it was too late. Club are commercial entities. They want and need to make as much money as possible a) to give returns to shareholders and thus make them a more attractive vehicle for further investment and b) to fund more expensive player acquisitions that will give them more chance of being successful which in turn leads to points a) and b) being repeated. He was quite right in saying that if 10,000 Arsenal fans don’t renew their season tickets next season, there are 10,000 more waiting in line who would even pay a premium for the opportunity to get a ticket. We may think that if nothing changes we will be playing in front of empty stadiums in years to come. We won’t. As soon as attendances start to fall, clubs will undoubtedly cut prices and demand will rise. They have no interest to do that today, unfortunately, in most instances. Football clubs will never come out and agree with the statements made by Football Supporters Federation Chairman Malcolm Clarke about tourists filling our grounds wearing half and half scarves taking selfies. Would a club want a fan who comes every week, turning up at 2.55pm (or whenever 5 minutes before kick-off is), leaving at 4.55pm or someone who will turn up at 1.30pm, spend money in the club shop, spend money on food and drink and then share their experiences on social media? We would all like to think it’s the former, the loyal fan, but in this ultra-commercial world I would suggest for many, the ideal fan is the latter. The Premier League has stayed almost silent in the whole affair, yet they are the one organisation who has the remit to allow change. The question of ticket prices should have been addressed a decade ago. Why couldn’t they have put in a fixed price rise structure that is set for the Train franchises for instance? The wealth now flowing into the game should be a catalyst for change, but it is simply an accelerant for faster growth of the same problem. It seems that finally footballing authorities are starting to take notice of the growing voices of the genuine fans on the subject of ticket prices. Last weekend the mass walkout at Anfield with Liverpool leading 2-0 not only grabbed the headlines but could be argued to have such a distracting effect on the team that they conceded two late goals. On Tuesday night Borussia Dortmund fans showed their displeasure at being charged £55 for a ticket for their trip to Stuttgart by raining tennis balls down onto the pitch during the game. With so much money gushing into the English game there can be little reason why ticket prices continue to increase in many cases at rates well above the level of inflation. Every club wants to play in front of capacity crowds and whilst some will offer discounted admission for some games, such as cup ties, where season ticket holders do not get automatic admission, come Premier League time and the prices increase. Some clubs are desperate to increase capacities, trying to meet finite supply with almost unlimited demand. The economists among us will know when that happens price equilibriums can be manipulated by the supplier, a situation that is leading to the anger in instances such as at Anfield where Liverpool fans could be charged up to £77 for a ticket in their new stand next season. The English game has never been so popular. In a statement issued by the Football Supporters Federation after the Anfield incident, Chairman Malcolm Clarke suggests that rising prices will lead to “Stadiums filled with tourists waving “half and half scarves and taking selfies”. I’d actually say in many instances that is one of the reasons why ticket prices continue to rise – the number of overseas visitors attending Premier League games has never been higher, filling the vacuum left by English fans unable or unwilling to pay the increasing amounts for a ticket. Again, simple Economics 101 suggests that “half and half” scarf sellers would pack up shop tomorrow and do something else if there was no demand for their product. Clarke claims the money from the new £5.1bn television rights deal, due to kick in from next season which will see every Premier League club receive a MINIMUM of £99 million in revenues for the three years after that, could let every supporter into every home game and still bring in the same revenue as this season. Yet it is unlikely that wholesale price reductions will be seen in England next season. Last year’s BBC report on the Price of Football painted a relatively healthy picture of clubs offering low price tickets but the results on some levels were flawed because they asked the clubs to submit information rather than researching the situation and looking at the average cost of tickets. Headline figures of the “cheapest ticket” for instance often related to one game where the club discounts all tickets for a particular purpose rather than the cheapest average ticket cost across the whole season. At West Ham United for instance, the cheapest ticket is listed £25, which it is for the pre-Christmas game versus Stoke City. The game before, versus West Bromwich Albion the same seat would cost you £45 (for a ‘Category A’ game this would rise to £70). The Hammers also take the prize of having the highest away fans ticket price at an eye-watering £85, yet also offer many games at low price where more often than not the ground ends up being full, such as the Europa League games in the summer or the FA Cup ties against Wolverhampton Wanderers and Liverpool. You can argue about the “value” of a ticket as well. Leicester City fans would certainly say they are getting value for money this season but what about at Chelsea where it hasn’t been the happiest of seasons to be sitting in an £82 season for some games. Any price increases will be easier to swallow based on the success of the season, although even a Foxes fan may baulk at a 100% price increase next season should the club owners decide to. 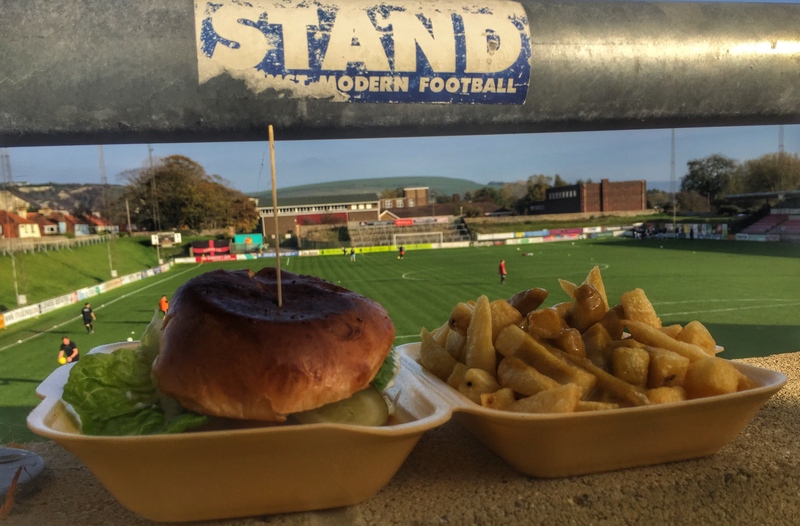 Whilst many Premier League fans have been priced out of the game and now get their football kicks further down the pyramid in the Non-League game where £20 can buy you admission, a programme, beer and a burger rather than just a Thai Green Salad Emirates Burger at some stadiums, their places have been filled with the overseas visitors. Visit Britain published a report in 2014 that revealed over 800,000 tourists to Britain in 2014 attended a football match whilst here, spending around £684 million in the process. It is not just tourist that enjoy football matches; out of the 800,000 total, more than 40,000 international business visitors went to a football match during their stay in 2014, with Manchester United, Arsenal and Chelsea the three most popular destinations. The protest by the Liverpool fans last weekend certainly created some waves but it may take a concerted effort of protests from other fans, potentially those willing to make the sacrifice of walking out of matches to make the clubs sit up and listen. The Premier League currently has a valuable asset in terms of full stadiums, but if empty seats start appearing in games being broadcast around the world ultimately rights holders will value the product less and so the knock on effect could be a lower value deal in three years’ time, consequently meaning less money for the clubs involved. Remember, greed and gluttony are both deadly sins. Last year the BBC’s indepth look into the cost of watching football in Great Britain threw up more questions than answers. Whilst the report highlighted some interesting information, the results on many levels was flawed because they asked the clubs to submit the information rather than doing the research themselves. Commentators soon picked up on this, pouring cold water on some of the claims being made by the report and the clubs alike. Headline figures of the “cheapest ticket” for instance often related to one game where the club discounts all tickets for a particular purpose rather than the cheapest average ticket cost across the whole season. Despite having ample opportunity to correct the approach, the same methodology produced the same type of result this year. At West Ham United for instance, the cheapest ticket is apparently £25, which it is for the pre-Christmas game versus Stoke City. The game before, versus West Bromwich Albion the same seat would cost you £45 (for a ‘Category A’ game this would rise to £70). To therefore report the cheapest ticket is so low is simply misleading. It took less than 30 seconds to find that publicly available ticket information. The Hammers also take the prize of having the highest away fans ticket price at an eye-watering £85. The question of value for money is a hard one to quantify. If you asked a Leicester City, Crystal Palace or Hammers fan whether they feel they are gaining value year over last, I’m sure they would say they are, due to the superb starts to the season the clubs have had. Likewise, fans of Chelsea may suddenly feel that paying a minimum of £52, the most expensive cheapest ticket in the Premier League, it’s a price too much after the poor start they’ve had. It’s also a shame that the BBC didn’t venture further down the pyramid. Whilst some fans will not begrudge paying Arsenal FC £106 for a ticket at The Emirates, a pie, cup of tea and a programme, perhaps they should take a look further down the pyramid where for £20 you’ll get all of the above plus a pint to sup on the terraces. Fans paying those huge sums talk about an entertainment value in the same way that someone going to the theatre will. At grassroots level entertainment comes from the whole match day rather than just 90 minutes. In fact it is normally the match action that tarnishes an otherwise great day out. Down in the Ryman Premier League there’s no such thing as differential pricing. Every adults pays the same admission fee whether the opposition is at the top or bottom of the league and whether they are a home, away or neutral fan – that’s how football should be priced. Why should I pay more as a home fan to watch Chelsea or Manchester United than I do to watch Watford or West Brom? I’m paying to watch my team perform, not the opposition. It appears that professional clubs feel that it’s justifiable to charge extortionate prices even in times of record TV deals. Whilst they watch their bank accounts fill up, just down the road Non League clubs fight for every penny. Paying £11 to watch the Rooks play is around a tenth of the average weekly wage for one of our players. At Arsenal, paying £95 is certainly not a tenth of a Gunner’s average weekly wage. In fact I’d bet it’s not a hundredth of the weekly watch. Fans count significantly more to grassroots than they do in the professional game. With no central TV money or sponsorship deals clubs have to,fight for every penny. The true cost of football at our level means the difference between survival and a potential out of control spiral downwards. The BBC report paints a far too healthy position of the cost of football in most instances. I’m sure there are hundreds of fans up and down the country that would happily contribute to a much more subjective review next season that could also go down deeper than step 5 of the pyramid. Fans want to genuinely understand whether they get value for money – unfortunately the research simply doesn’t cut the mustard when it comes to defining that.